Library Elf Designs: Achievement Unlocked: Quilting - Kitchen Rug! 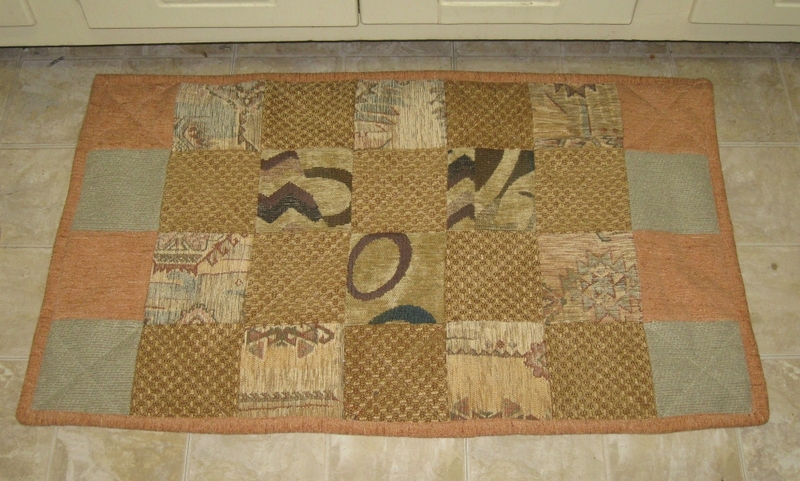 Achievement Unlocked: Quilting - Kitchen Rug! Happy New Year! I've started the New Year off right: by finishing a craft project that was on the table for TOO LONG. 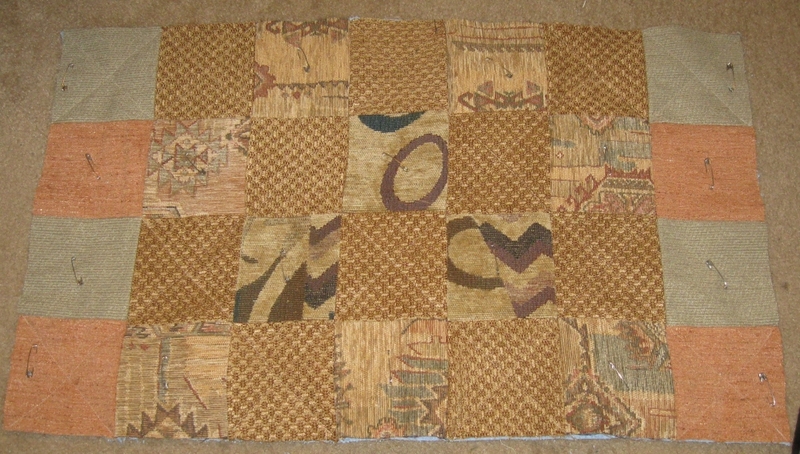 A lovely quilted kitchen floor mat from SewWeQuilt (links above). Now, the issue at hand was what fabric would I use? How big would mine be? We definitely needed a floor mat by the sink. Look at how nice that all works, although, I think it is technically upside down in this pic. Notice the egg! Full disclosure: I have NEVER put a quilt together from start to finish. You may remember the Patriotic Quilt I am/was working on. That's a quilt top so far. Tops I have made...mostly. Not sure I've done any blocking/borders/what-have-you yet. I find the idea of hand quilting not something I want to do. Machine quilting, yes. Hand quilting, not so much. I know the Patriotic Quilt could use something (I'm waiting on something from my stash that'll work). 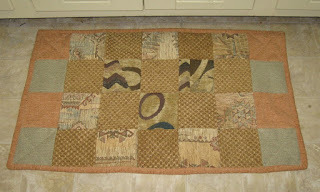 With the help of the "Binding 101" section, I put the binding onto the rug and ta-da! Finished rug! I only needed a little bit of hand sewing because the one corner was too much for the machine. TA DA! It is frugal and pretty! The upholstery fabric was great, but the seams are a bit bumpy so standing on it isn't comfortable (ok. I've only done this for about 5 whole minutes so I could be wrong). Next time, I really should do more than the two layers I chose to do out of laziness. ...but the binding method from the above pin was the EASIEST binding ever. I thought it would be a very difficult task, but not with that machine binding technique. It needs something on the back to stop it from sliding. I have some ideas, just wanted to get that project off my table to free up room for the craft table. I can now say I've done a quilt! Even if it is slightly a cheater quilt. I love feeling frugal and thrifty and having something that looks great. 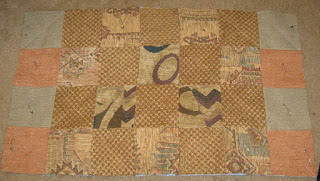 I would definitely make another rug like this.